China's stock market plunge is keeping economists awake at night. 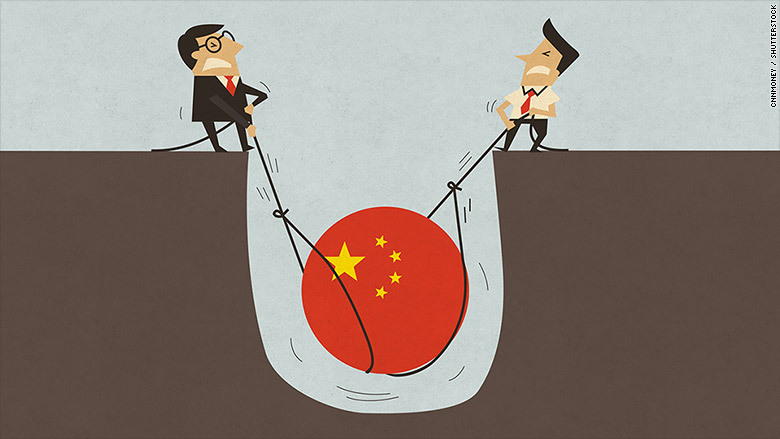 Fifty percent of economists surveyed by CNNMoney said that stock market turmoil is now a major risk to China's economy. This is the first time that markets have been singled out as a concern, marking a shift from earlier surveys, which showed economists were most worried about the property sector. China stocks have been on a wild roller-coaster in recent weeks, wiping away more than $3 trillion in market value. The benchmark Shanghai Composite, for example, has dropped more than 30% from its June 12 peak. 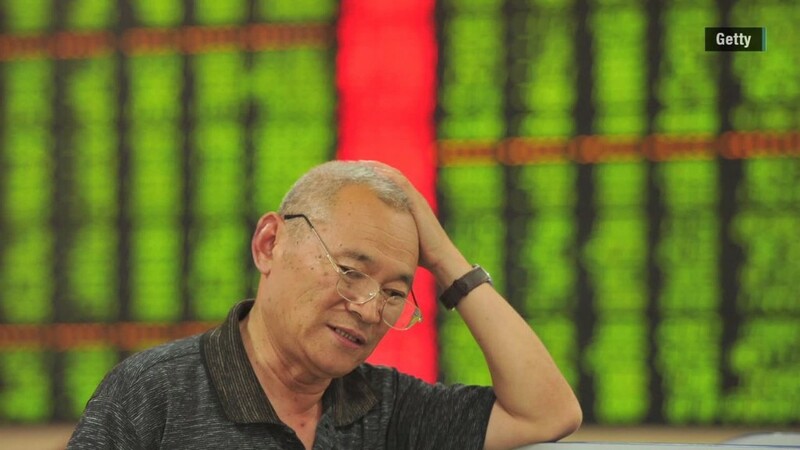 Things are so bad that roughly half of China's 2,800 listed companies have suspended trading. Pair extreme market volatility with sluggish economic growth -- China is now facing its slowest expansion since the financial crisis -- and it's clear why experts are worried. "We had always considered the risk of a financial crisis in China as high," wrote David Cui, an equity strategist at Bank of America Merrill Lynch. "What has happened in the stock market has likely increased the risks considerably." Related: Who gets burned when China's stock bubble bursts? The Chinese government has pulled out all the stops to try to stem the stock market decline -- the central bank has cut interest rates to a record low, brokerages have committed to buy billions worth of stocks, and regulators have announced a de facto suspension of new IPOs. In the long run, experts say they're most concerned about the retail investors -- think teenagers, electricians and cab drivers -- who make up the bulk of China's stock markets. They're expected to take the biggest hit as markets continue their tumble. The worry is that some households -- especially in the middle class -- could see their savings wiped out. As a result, consumption will likely suffer down the road, experts said. That's bad news for China, which after decades of breakneck expansion led by exports, is now trying to shift to consumer-driven growth. Still, here's some important context: Despite the recent stock rout, the benchmark Shanghai Composite is up roughly 9% so far this year, while the smaller Shenzhen Composite has gained 33%. "Impacts on the global economy will be more modest, because direct financial linkages are weaker," said Brian Jackson, an economist with IHS.